Although regarded as a loan, Invoice financing is not a loan. On the other hand, it is a way of exchanging your invoices with a factoring company in order to get cash, which is a little less than the invoice amount. In business, it is a common thing that sometimes you deliver the products to your client, but do not get paid immediately. However, you have to keep producing to keep running your business, you also have to pay salaries to your employees, and you need funding for that. In these situations, you can take the help of a company that deals with account receivable funding. Business Advance Funding, as a valuable option, provides you funding on your account receivables. Your overall business, with a good credit score, would be enough while approving a cash flow to your business. We can provide an instant funding up to $500,000 if your business is at least six months old with an average monthly sale of $5000. Some people also identify invoice financing with accounts receivable financing. If you, as a small business, have sold some of your products to a customer, you have a valid invoice with you. However, having an invoice does not mean that you have been paid. Depending upon your trust in your client, you might choose to wait for the payment, but the financial demands on your company wouldn’t wait. Raw materials, man power, expansion- there could be a several factors why you need money at your disposal. Thanks to your invoices which can act as factoring receivables in getting you a factoring finance. 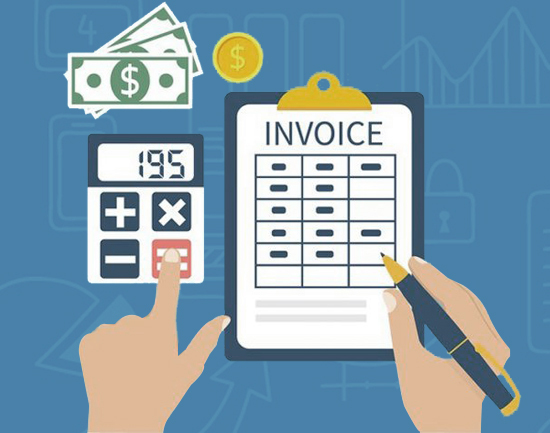 Because you are financing your business on the invoice of the ordered products by your client, this process is also known as purchase order financing. Once you apply for a factoring loan (as popularly used), it is guaranteed as you have valid invoices. You can forget about your client’s payment and the financial company would take its own pain to collect that for itself. Convenient, right? In recent times invoice factoring, or as the business people call it, a business advance loan has been great help to small business owners in order to run their businesses steadily. You can take care of your business by applying for an invoice financing or cash-flow finance to Business Advance Funding today.